I know, us iShock guys are dirt dudes all the way but the new Elka shocks for the Can-Am Spyder are simply way to cool not to share! These shocks are the single greatest improvement you can make to the Spyder...ask a friend, search the forums or talk to your dealer and I guarantee you will here the same from them! 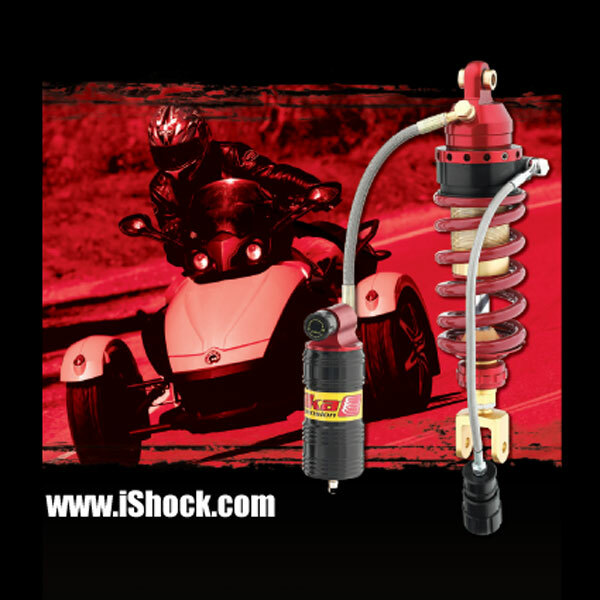 iShock is ready to deal on Spyder shocks...give us a call and give us a shot, you will not be disappointed!